The Israel Truth Week conference, to be held in early March, is “born of Nazi occupied Holland and the Caledonia crisis,” says founder Mark Vandermaas, who was adopted at the age of six by a Dutch couple who had survived the Nazi occupation of Holland. He grew up hearing about the plight of Jews under the Nazis and forged a deep connection with the Holocaust. Later, as a member of the Canadian Forces, he served with a United Nations peacekeeping force in the Middle East. But it was his experience with the violence and break-down of law and order by “racially biased” police against the residents of Caledonia that galvanized him to action on behalf of Israel and the Jewish people. The Caledonia crisis began in February 28, 2006, when a handful of protesters from the nearby Six Nations reserve, walked onto Douglas Creek Estates, (DCE) which was then a residential subdivision of Caledonia, under construction, and blocked workers from entering it. Over the next four years until today, as the occupation continued, the rule of law was destroyed. Major roads were closed and lawlessness ran rampant. Those who lived adjacent to DCE, about 450 families, were openly terrorized while the OPP police stood by. “They destroyed houses on a construction site; they burned down a bridge, attacked a builder in the home he was building for his daughter and left him with brain damage, they tore up the road. The non natives were victimized,” Mark said. “People had to get passes to get to their houses. Mark was then working in real estate, selling homes in Cayuga, Hagersville and Caledonia, communities which would be victimized by illegal occupations, extortion and intimidation. After his arrest on December 2006 – the first of five arrests – while attempting to raise a Canadian flag in Caledonia- Mark put aside his promising real estate career and award- winning online real estate college course and became a full time, volunteer, activist, with the goal of permanently ending the race-based policing in Ontario. A man with a massive frame and ernest blue eyes, he has massive, tireless resolve. He is mentioned several times in the book Helpless: Caledonia’s Nightmare of Fear and Anarchy, and How the Law Failed All Of Us, by Christie Blatchford. She writes: “The town was for all practical purposes, abandoned by the State… The book is about the failure of government to govern and to protect all its citizens equally. …The Ontario Provincial Police stood by while occupiers broke the law, often violently, right under their noses.” she writes. Why should Jews be concerned with Caledonia? “Caledonia is the front line in the struggle against the extreme left who use Palestinian militants as pawns for their own anti-capitalist agenda just as they use Six Nations extremists. None of us are safe if the lessons of Caledonia are not learned,” says Mark. The Never Again Group (NAG), a group of Jews and non Jews, were the first to understand why Caledonia should matter to the Jews. When a mosque in London where Mark lives, sent a delegate and raised money for the Gaza flotilla that intended to break the Gaza blockade, together they staged a 26 day protest. But the last straw was a Jewish student event at Western University London. The police stood by while the Jewish students were harassed and intimidated. For Mark, it was the catalyst for the first Israel Truth Conference last year in London. 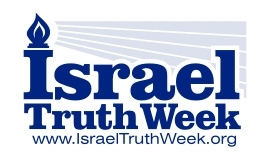 Israel Truth Week Conference 2013, March fifth and sixth, has a stellar array of speakers revolving around the theme; Pushing Back With Truth And Action. Admission is free with a suggested donation to ALYN Hospital in Israel. It will be held at Victory International Church, 2799 Barton St. East in Hamilton. The keynote finale, sponsored by the Never Again Group, will be at McMaster University. 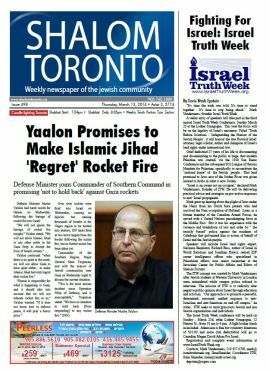 For details visit http://www.IsraelTruthWeek.org. 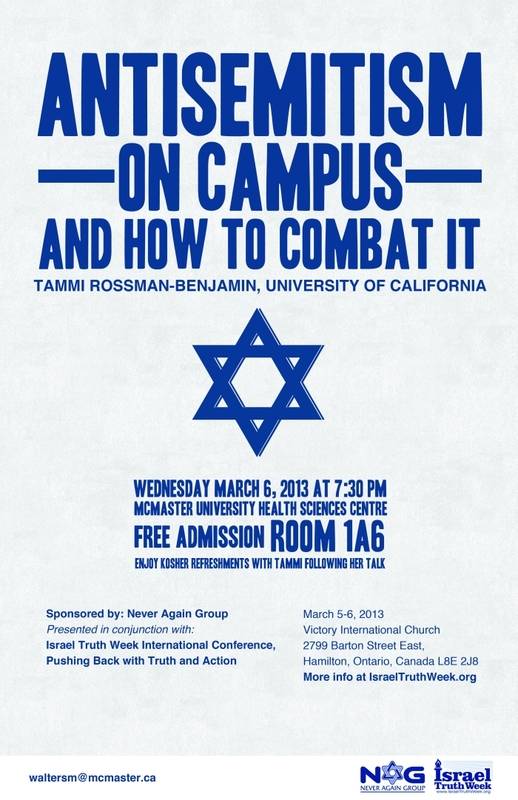 Or contact: Mark Vandermaas at 519 457 0709; mark@israeltruthweek.org. 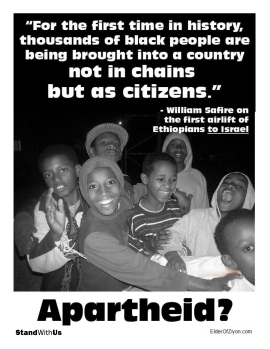 Israel Apartheid Week and other anti-Israel slurs are about attacking values. 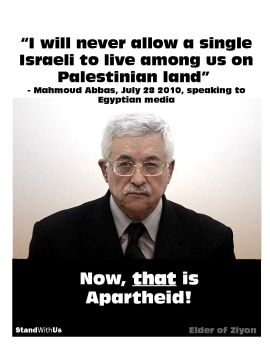 Israel stands as a proxy for all the liberal democratic values that we in the West hold dear: Truth; free enterprise; democracy; respect for the rule of law; freedom of expression; freedom of religion; and the right to be treated equally before the law and to be protected equally by the law. People who share those values are being attacked, persecuted and terrorized, even murdered. Israel Truth Week is not just about religion or borders, it is about defending those values and the people who hold them. We must understand that Israel Apartheid Week is not the enemy, it is a tool of the enemy, one that must be countered of course, but the reality is that even if every dean on every campus in the world decreed an end to IAW, our enemies would remain: 1) the radical left who use militants, be they Islamists in the Middle East, Canada or Europe or Mohawk Warriors in Caledonia, as proxies for their own anti-West, anti-freedom, anti-capitalist, anti-democratic agenda; and 2) our governments and police forces — be they the Ontario government and OPP in Caledonia, or the United Nations vis a vis Israel — who appease their twisted, lawless agenda instead of doing their sworn duty to uphold the law and protect the innocent. One of the key objectives of the Israel Truth Week concept is to unite Jewish and non-Jewish groups in defence of Israel, and liberal values of freedom and equality here in Canada, to encourage co-operation despite differences of opinion or approach, without regard to politics or turf. 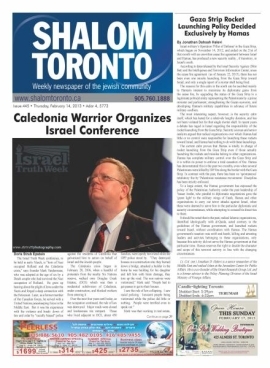 This vision is best epitomized by the members of the Never Again Group from the Hamilton whose remarkable cooperation in first understanding why Jews should care about Caledonia, and then helping to make the Israel Truth Week concept and our upcoming conference a shining example of the unity we all need to embrace.